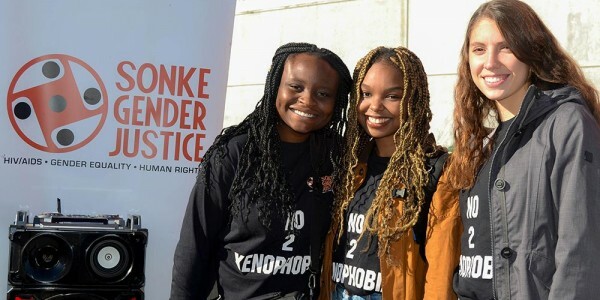 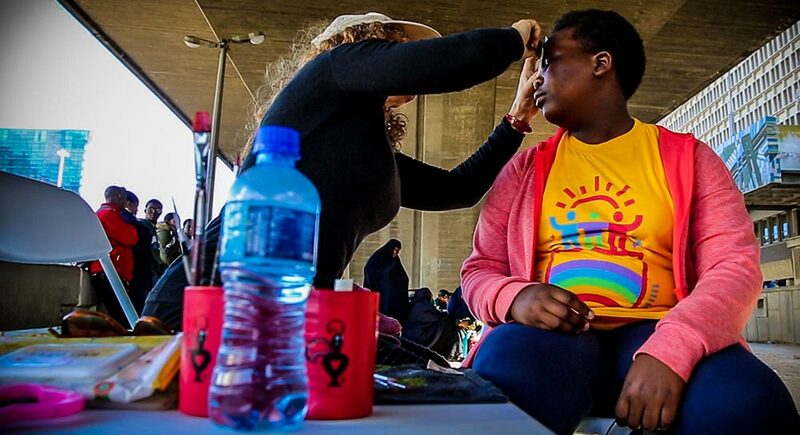 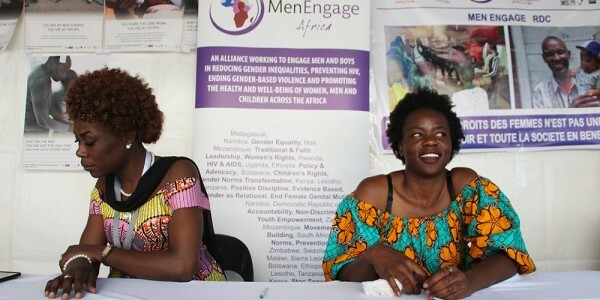 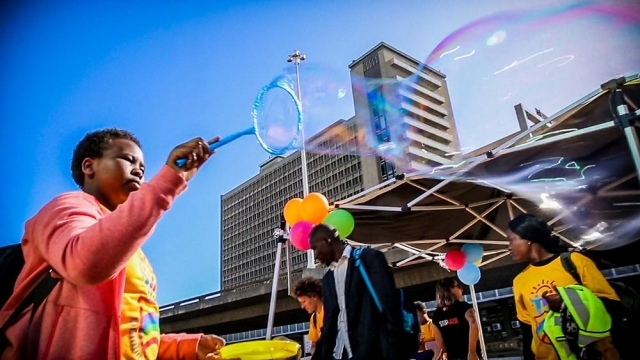 On Friday 6 April 2018, Sonke Gender Justice, together with various civil society partners, staged a creative activism event – “The Department of Happiness Affairs”, based on the principles of The Theatre of the Oppressed, a form of popular community-based education that uses theatre as a tool for social change. 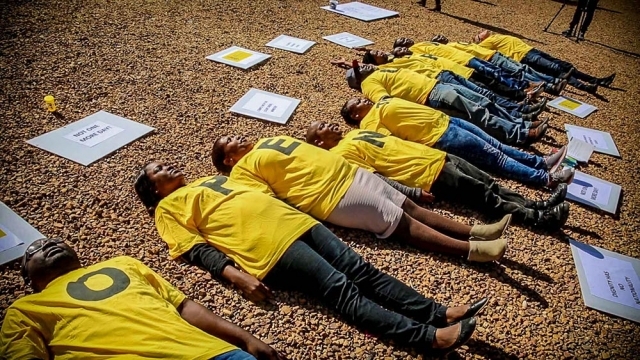 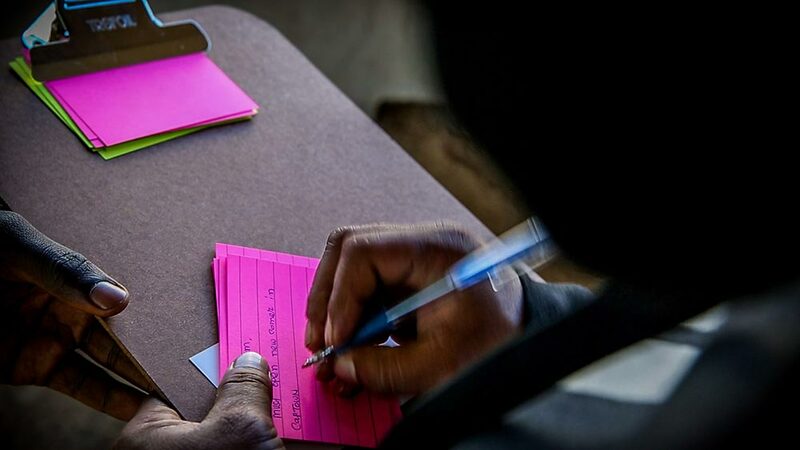 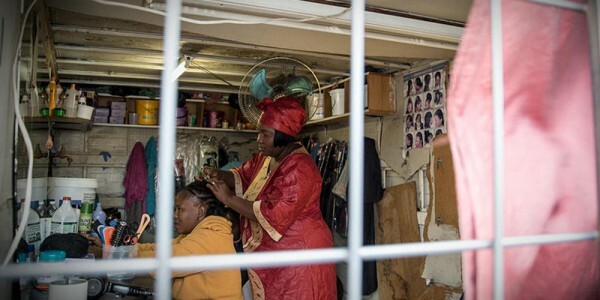 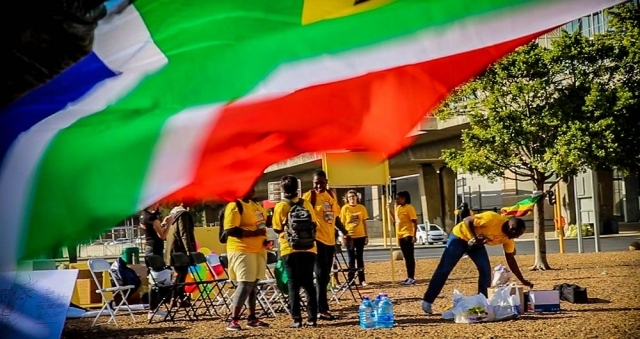 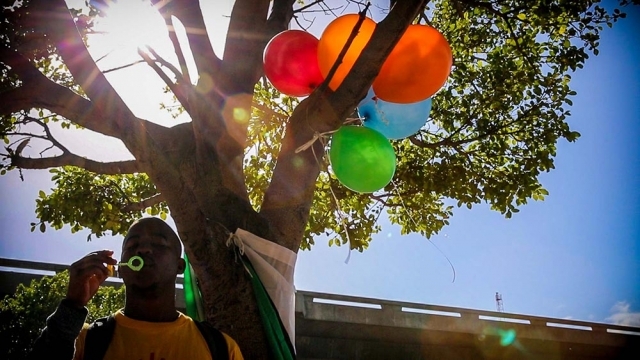 Refugees and asylum seekers – some of the most marginalised people in South Africa – often face discrimination, inefficiencies and major administrative burdens when applying or renewing their permits at the Department of Home Affairs. 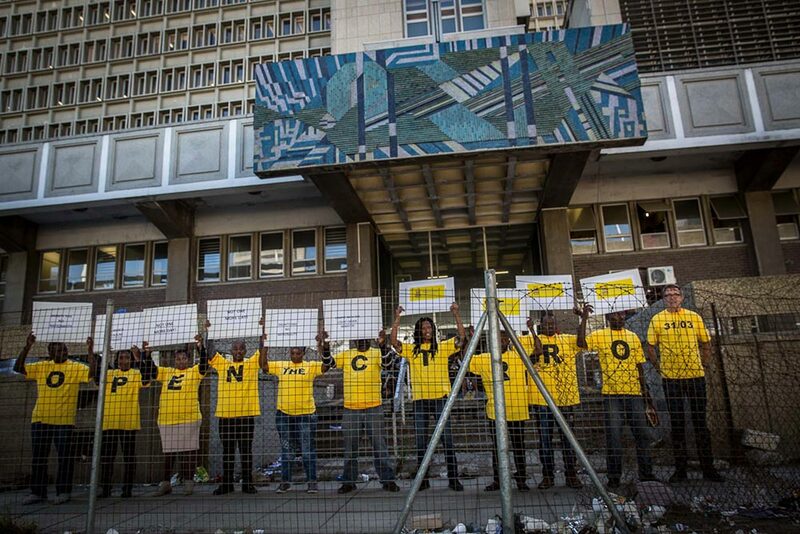 This is particularly true at Customs House, Cape Town. 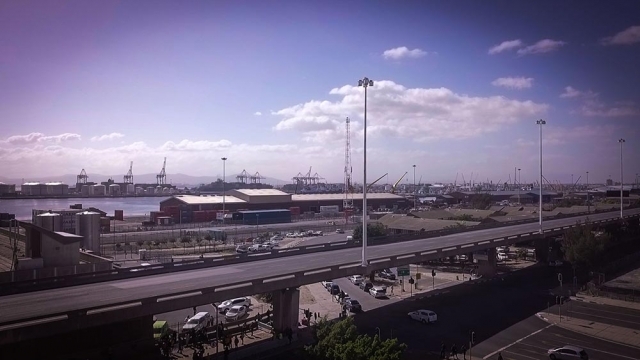 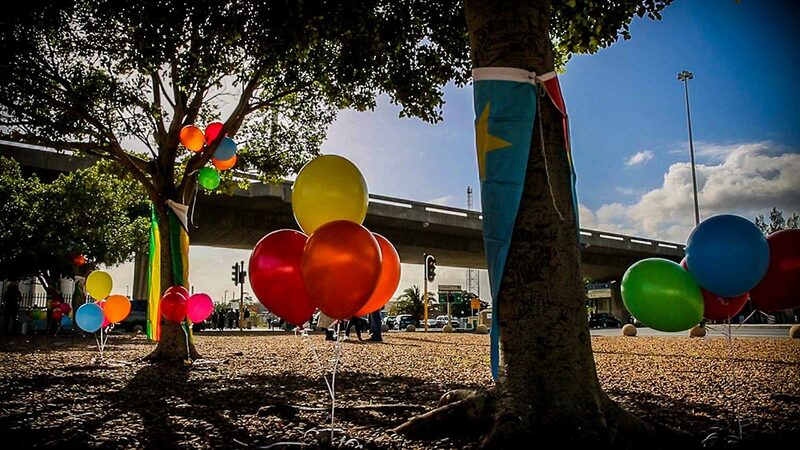 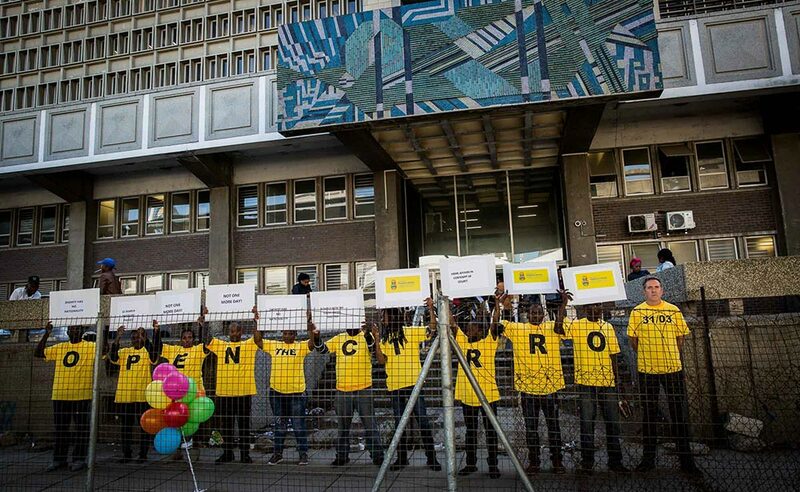 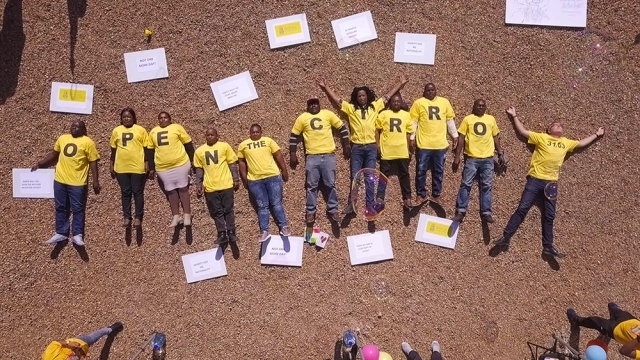 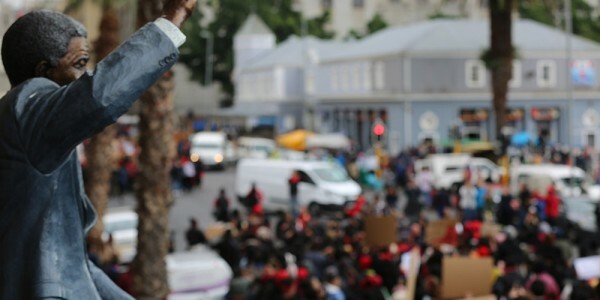 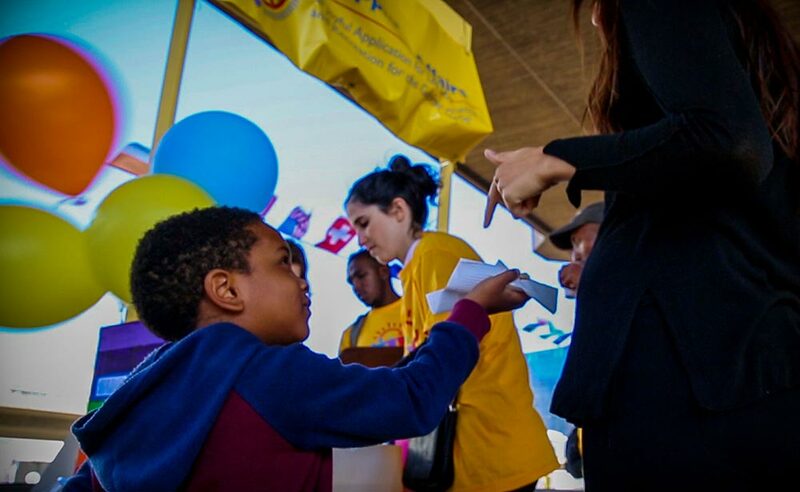 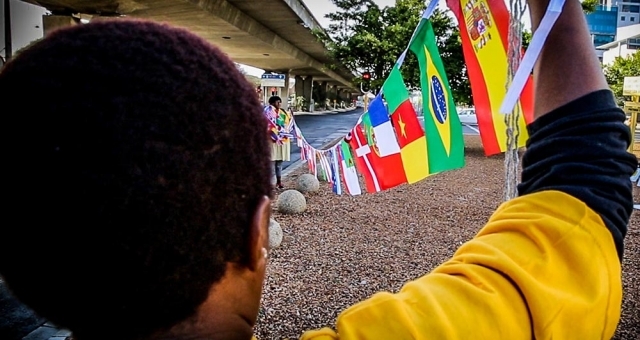 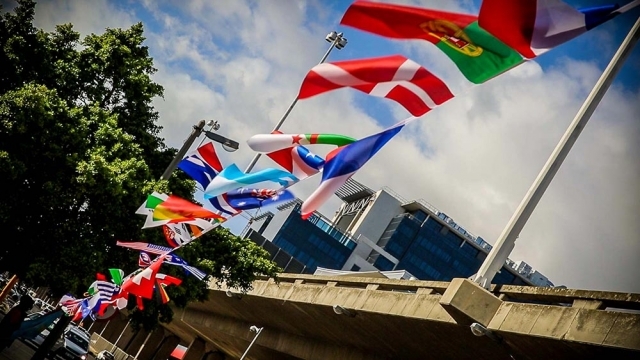 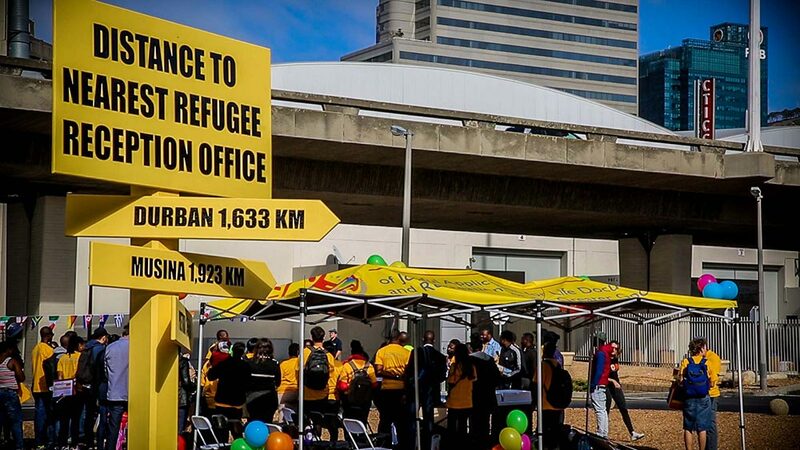 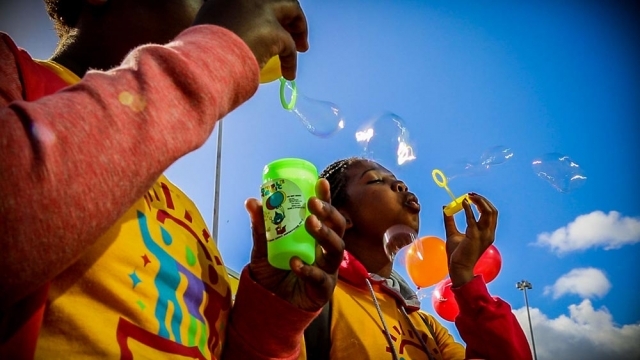 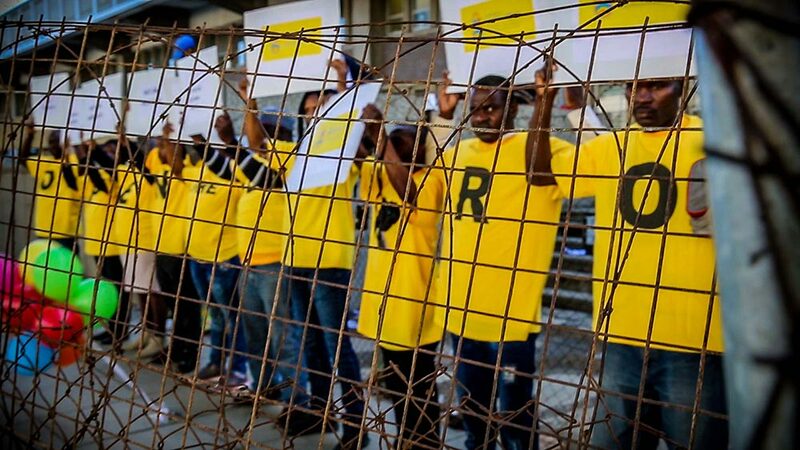 The closure of important services at the Cape Town Refugee Reception Office (RRO) in 2012 has forced asylum seekers to travel vast distances and at great costs – financial and emotional – every 1-6 months to get their papers renewed. 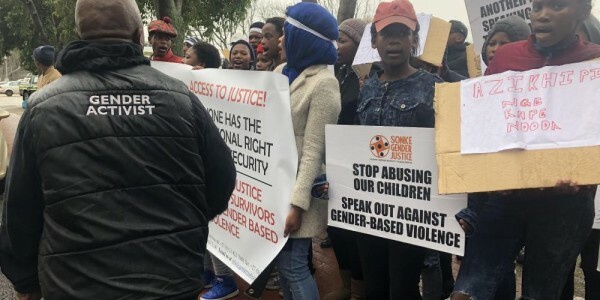 The courts have ordered that this needs to change, but Home Affairs has ignored some of these orders. 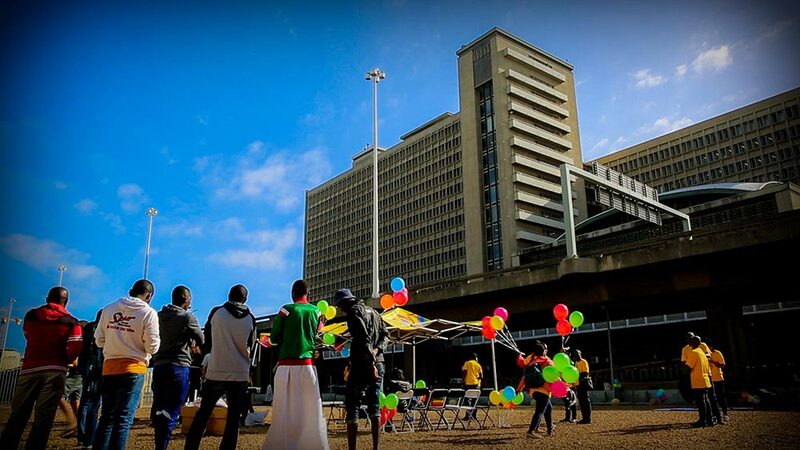 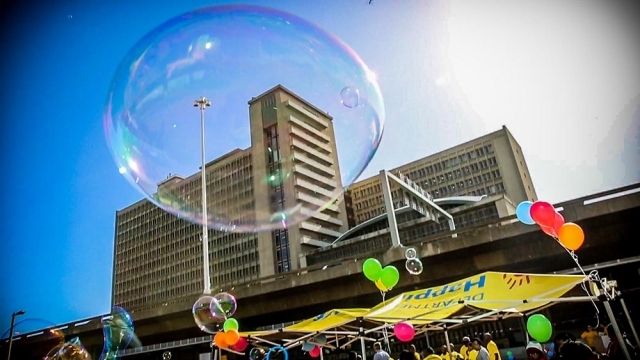 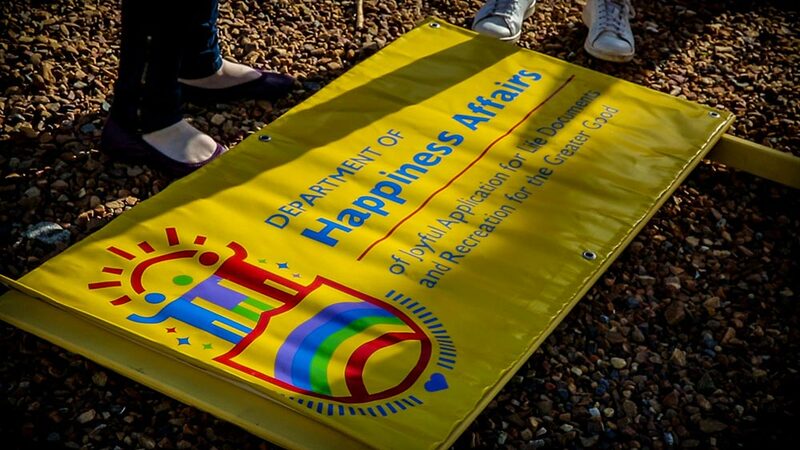 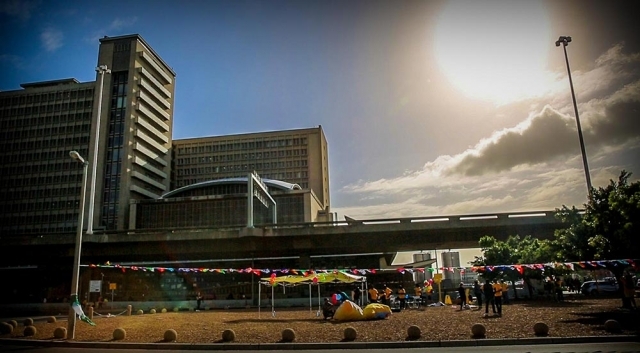 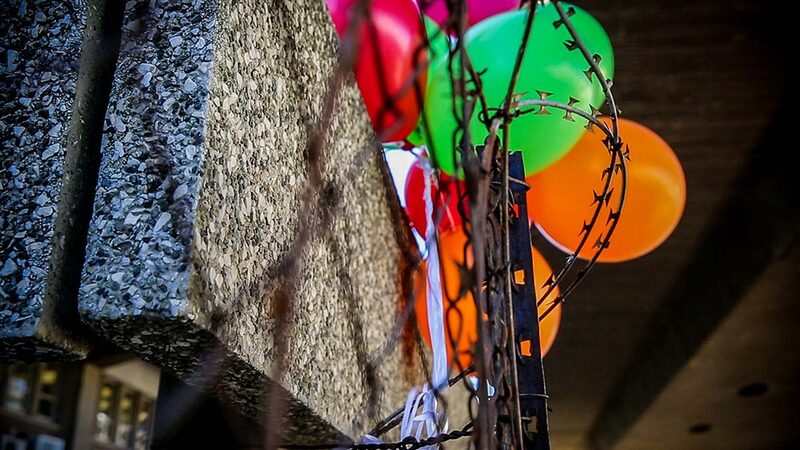 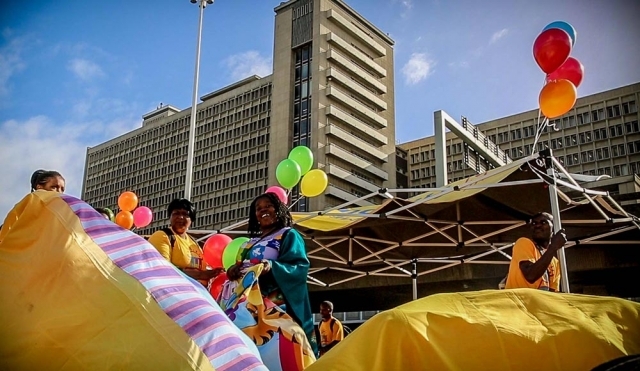 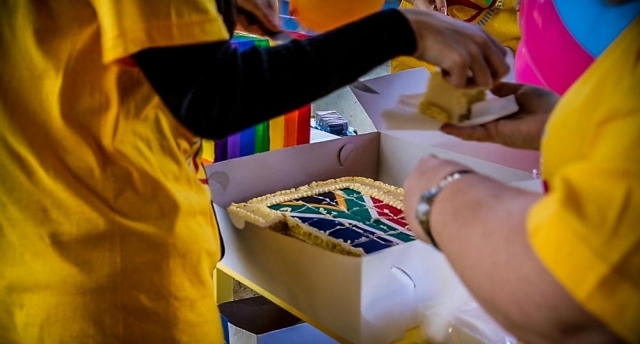 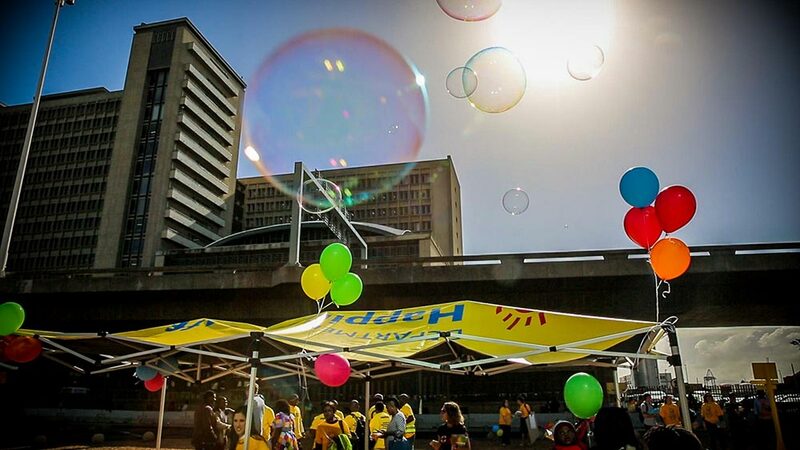 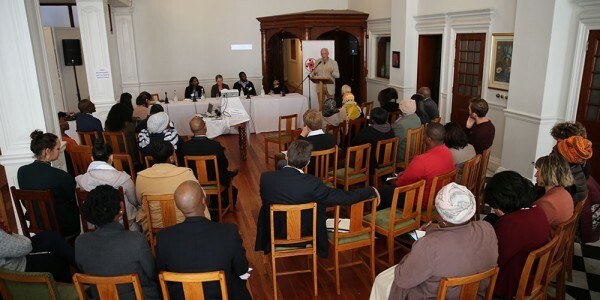 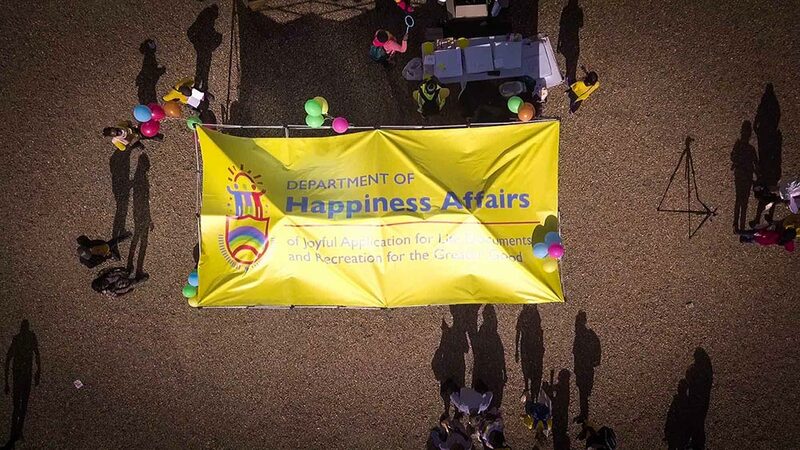 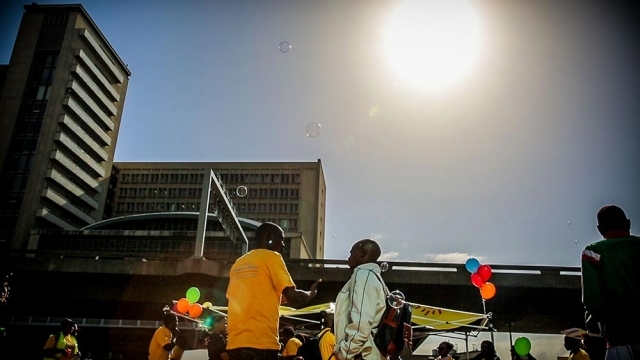 In an effort to bring more attention and colour to the dust and despair that characterise the conditions at Customs House where Home Affairs is currently housing its limited services, civil society hosted the Department of Happiness Affairs (full title “Department of Happiness Affairs and Joyful Application for Life Documents and Recreation for the Greater Good”). 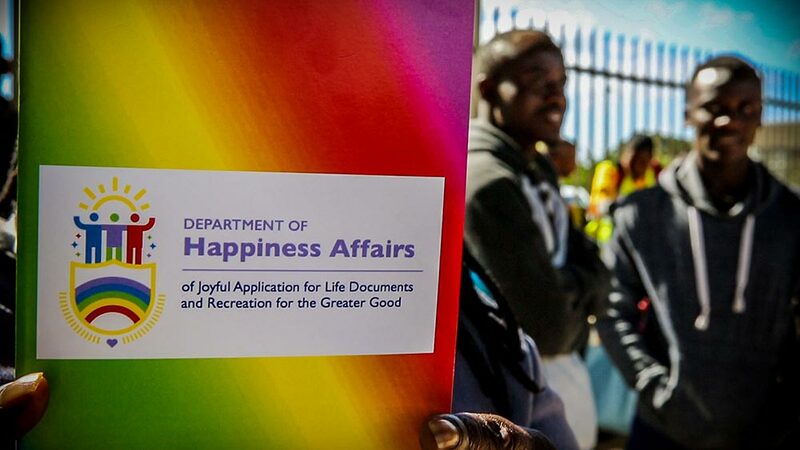 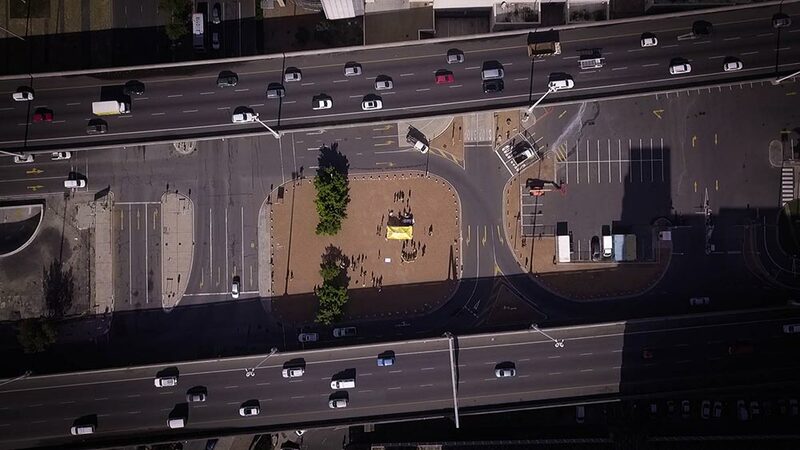 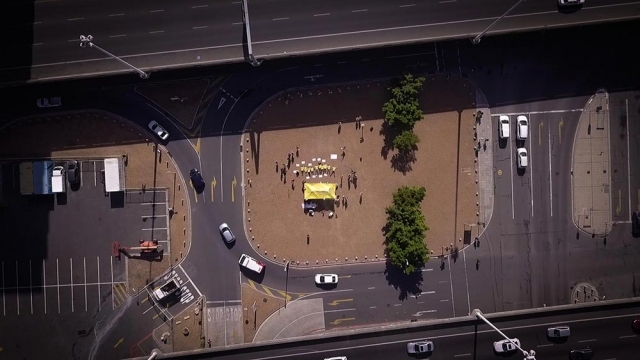 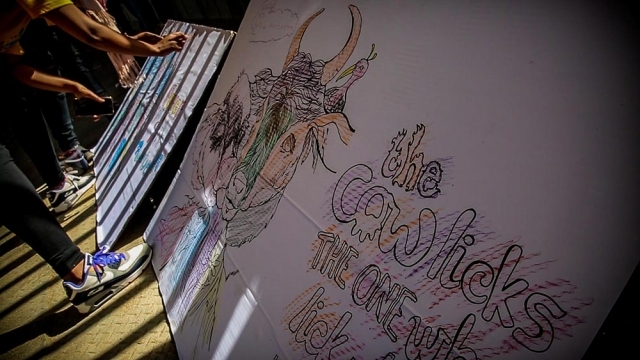 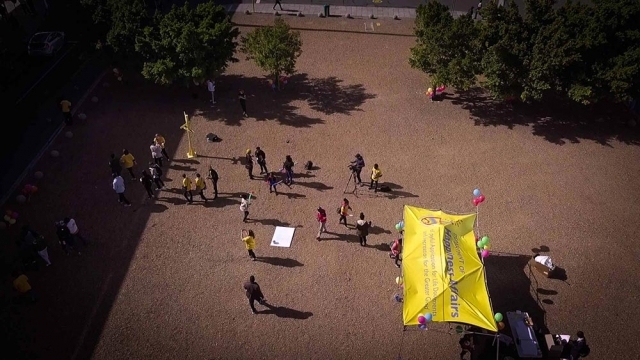 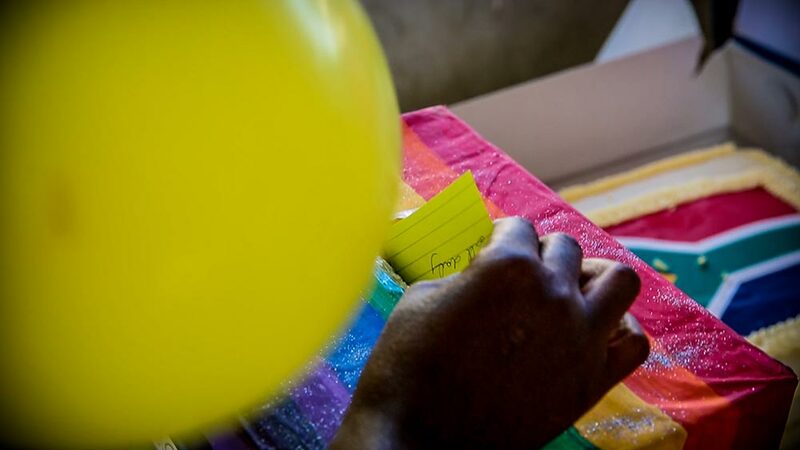 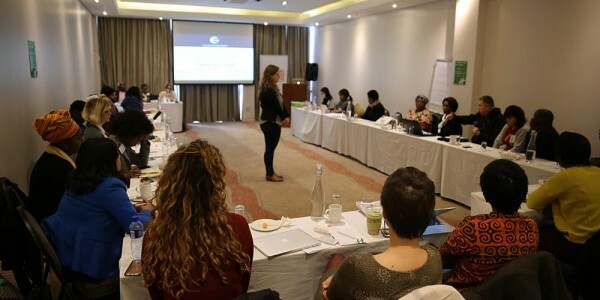 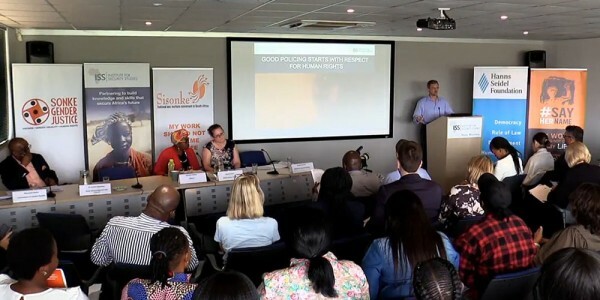 It aim was to show the Department of Home Affairs what services to migrants could look like – a welcoming, empathetic and receptive space, open to all asylum seekers and refugees who wish to apply for documentation in South Africa.